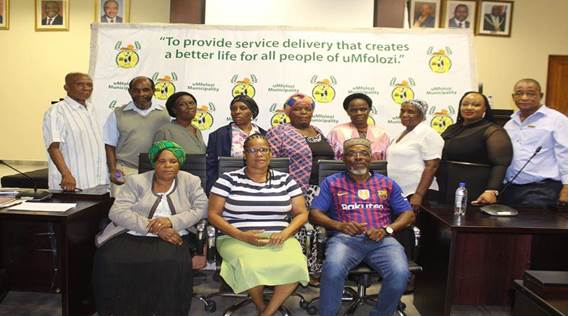 A brand new Committee for senior citizens elected its members at the uMfolozi Municipal Council chambers on Wednesday, 27 February 2019. The Senior Citizens Committee will give the elderly within uMfolozi a voice to advocate for their specific needs. It is essential that the elderly have an organised structure that will develop and implement programmes and activities that are for their benefit which include, health, safety and the welfare of the elderly within the community. This will also assist the elderly to maintain a close relationship with the Municipality. The proceedings were officiated by the Sports, Arts and Culture Officer, Mr GK Nkosi and Ms S Zungu from King Cetshwayo District Municipality. Senior Citizens who are 60 years of age and above, who reside within uMfolozi Local Municipality jurisdiction are considered.